VoLTE And Joyn – a match made in IMS heaven? The last couple of weeks have seen some notable (game changing?) operator announcements from the leading LTE markets. While MetroPCS, SK Telecom and KT were competing for the rights to be named the first operator to deploy commercial VoLTE services, there were similar noises coming from the German market – Vodafone Germany became the first operator to launch Joyn-branded RCS services, to be closely followed by Deutsche Telekom and then Telefonica in 2013. One group who will undoubtedly benefit are the IMS (IP multimedia subsystem) vendors who must be excited at the prospect of operators rolling out these new IMS-reliant services in the coming years. As LTE networks become more established, it was a matter of time before these announcements were made, with operators keen to protect themselves from the OTT threat and differentiate themselves from their fellow LTE operators. But how effective will they be? Many questions spawn out of these announcements and it will be interesting to see how other operators and markets follow suit now these big players have deployed. Will device manufacturer’s ramp up production of compatible handsets? Will OTT players feel the impact of Joyn and VoLTE and if so, how will they react? What will be the success and uptake of seamless VoLTE to video call switching? How will operators be able to monetize these new services if they are incorporating them as part of existing pricing plans? Share your thoughts on these issues below! SK Telecom & KT are amongst others discussing their plans for the future at LTE Asia in a couple of weeks. I’m Sam Oakley and as the Events Manager of the LTE World Series, I hope you’re able to join us at LTE Asia 2012, taking place on the 18-19 September 2012 at the Marina Bay Sands, Singapore. Click here to register your interest. One lucky person attending LTE Asia 2012 in Singapore will win a trip for two to New Zealand. This trip of a lifetime, which is brought to you by Tekron, includes two economy flights to New Zealand from anywhere in the world*, and NZ$3,000 spending money. So fill out your boarding pass and drop your entry forms for your chance to win. Visit the Tekron booth at LTE Asia 2012 for more information about the competition. There has been some major developments in the UK LTE market today as the regulator Ofcom announced that it will permit Everything Everywhere (the Orange/T-Mobile merger) to re-farm its 1800MHz spectrum for use with LTE. Ofcom has now issued “varied licences to EE which authorise LTE services from 11 September 2012”, and it has told Telecoms.com that it had plans to launch in “certain key locations in the UK by the end of this year”. The results – howls of protest from the EE’s UK rivals. Their issue is that as they don’t hold licenses for 1800MHz they will have to wait for next year’s auction, currently set to start at the start of 2013, for the chance to bid for 800MHz and 2600MHz spectrum. This could put them almost a year behind in the LTE marketing stakes. On the mobile broadband side, it shouldn’t be too much of a problem as the device eco-system is growing, ZTE is producing 1800MHz dongles for CSL in Hong Kong for example. But on the devices side it’s a bit more limited. In Australia, Telstra is offering the HTC One XL, Velocity, the windows-based Titan 4G, and the Samsung Galaxy SII. However, the flagship Galaxy SIII is not LTE 1800 capable. The other big one of course is the iPhone 5. No one knows what that will support LTE at all, and if it does, at what frequencies, but if 1800 is in there, it will be a massive win for EE. (If not Apple and EE will have to be careful, to avoid the hoopla around the iPad’s 4G incompatibility with European and Australian LTE). So after years being behind the 4G curve we may get two networks at once. It’s a funny old world. CSL is Hong Kong’s leading mobile operator and was the first of the market’s five players to launch LTE. Ahead of his apperance at the LTE Asia 2012 event in September, CTO Christian Daigneault talks to Telecoms.com about the unique demands of the Hong Kong market and how the firm is using LTE at 1800MHz and 2600MHz to meet its customers’ needs. Hong Kong is a fiercely competitive market, with five operators battling for the custom of a population of just 7.15 million. This demand for data services is growing at a rate that is challenging to manage. 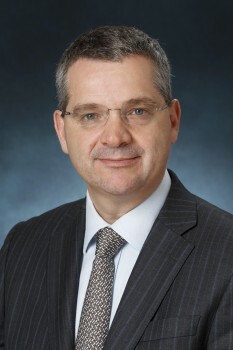 The leading operator, CSL, has seen traffic growing by a factor of three year on year, says CTO Christian Daigneault, and the firm expects this to drop to a more “resolvable” doubling of traffic in “the next few years”. High demand coupled with intense competition led CSL to pioneer LTE in the Hong Kong market, launching at the end of 2010. Hutchison, China Mobile and PCCW followed suit in the spring of 2012, leaving Smartone Vodafone as the only carrier yet to have deployed the latest generation of network technology. When CSL launched its LTE network, its 3G network was groaning under the weight of data traffic, Daigneault says. The firm wanted to steal a march on its competitors and led off with a partial deployment of LTE at 2600MHz. More recently the firm has been adding 1800MHz into the mix, giving it better in-building penetration in a market where this type of coverage is key. Hong Kong’s operators deploy indoor coverage in major hotels, skyscrapers and office blocks and, given the limits on real estate in these environments, the carriers share the infrastructure. This is as far as network sharing extends for CSL, says Daigneault, and accounts for roughly one quarter of the firm’s cell sites. At the LTE World Summit in Barcelona in May there was much discussion of the need for network sharing to begin at the point of deployment for LTE. Operators voiced concerns that the new network technology might not be financially viable if they were required to deploy a network apiece. Daigneault argues that there is a growing gap between Europe and the more advanced regions of Asia and the US. CSL has taken advantage of the freedom to deploy LTE at both 2600MHz and 1800MHz, he says, with a spectrum allocation for 1800 in excess of 2 x 20MHz. While deployment began with 2600MHz because of licence requirements (there were no devices for LTE 1800 at the time, in any case) the firm expects to position the 1800MHz layer as its mainstay, using 2600MHz for capacity. An important benefit of LTE 1800 for CSL, says Daigneault, is that it will be deployed more widely across the globe than 2600, opening up a better device ecosystem and improved opportunities for international roaming. As a small market and a business hub, Hong Kong imports and exports a great deal of roaming traffic and CSL implemented its first LTE roaming agreement, with South Korea’s SK Telekom, in July of this year. The deal was hailed by CSL as a world first, and the two carriers’ common use of 1800MHz (SK also deployed LTE at 800MHz) was the enabler. How CSL will manage roaming with other markets remains to be seen and depends, as always, on the terminal community. “We don’t yet have a device that supports American bands as well as 1800MHz and 2600MHz and there might be limitations in terms of being able to support both,” Daigneault says. But there is motivation from both sides. “I was talking to Verizon recently and it’s becoming important for them to support roaming with LTE, so even they are asking their vendors to support 1800 and 2600 as international roaming bands and we hope that it will be coming,” he says. CSL has already shifted ten per cent of its dongle traffic onto its LTE network, Daigneault says, and is working hard to up that number. Hong Kong has one of the highest penetrations of smartphones and tablets in the world, he says, so there is plenty of motivation. Daigneault offers CSL as a case study for operators in markets that might be one or two years behind Hong Kong. “Other operators can learn from us because of the density of traffic that we have,” he says. “What is happening to us now will happen to others in one or two years’ time. We have to build very high capacity networks, which is why we decided to build a two-layer LTE network so we don’t have to go back and add more capacity every month. The LTE Asia 2012 conference is taking place on the 18-19 September 2012 at the Marina Bay Sands, Singapore. Click here to register your interest. 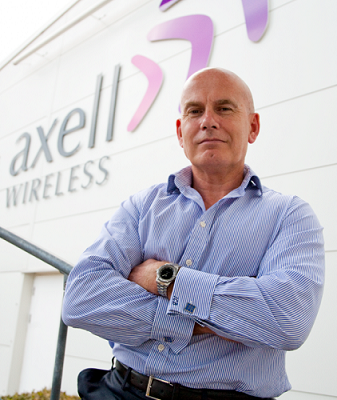 This is a guest post from Ian Brown, CEO of Axell Wireless, who explains why 98 per cent of UK Population are set to receive mobile broadband indoors by 2017. Ofcom has recently announced that the UK’s long awaited 4G mobile broadband spectrum auction will be delayed until early 2013. Despite the fact that the UK and Europe are often viewed as falling behind other markets in terms of 4G LTE; this regulatory delay does not suggest a lack of commitment amongst mobile operators to invest in the deployment of the standard. The conditions laid out by Ofcom have also guaranteed that indoor LTE coverage will have a significant role to play in the rollout of LTE services in 2013. There remains, however, a persistently high level of operator investment in the type of technology that will enable LTE coverage indoors. This is unsurprising when you consider that the 800 MHz spectrum, that will be made available from Ofcom, carries an obligation to deliver mobile broadband reception indoors to 98 per cent of the UK population by 2017. The strong investment in wireless in-building solutions reaffirms an on-going commitment to LTE, on behalf of mobile operators. When coupled with the large scale investment in outdoor ‘macro networks’ that the industry has recently witnessed, it becomes clear that operators are gearing up for the active deployment of LTE following the spectrum auction in early 2013. The continued proliferation of smartphone technology has led to a huge increase in mobile data usage; with some 80 per cent of traffic now emanating from within buildings, including shopping malls, office blocks and sports stadia. In light of the continued increase in mobile data usage, and the Ofcom ruling, operators must now ensure that the latest mobile broadband standard is available to the many subscribers who are now accessing data services within buildings. Today, many buildings are constructed from materials that reflect RF (radio frequency) signals; meaning that the only way to ensure seamless coverage for users is to install some form of in-building coverage system. Now that the majority of mobile traffic is emanating from indoors, the operators have become acutely aware of the need to provide comprehensive in-building coverage. This means that more and more operators are now building their networks from the ‘inside out’ rather than the ‘outside in’, which represents a significant shift in mind-set from a few years ago. Europe may be behind other markets, such as the U.S., in terms of commercial LTE deployments, but that hasn’t prevented the operators from adopting new technologies to propagate mobile phone signals into a building. Both the 800 MHz and 2600MHz bands, released by Ofcom, will provide a well needed increase in spectrum for the operators to support new 4G services. However in-building coverage systems typically need to support multiple frequency bands and wireless technologies, including 2G and 3G services. Indeed, some existing frequency bands are being ‘re-farmed’ by the operators to provide further support for 3G and 4G services. Axell is already deploying multiband, multi-technology systems for the mobile operators and this can only seek to reiterate their firm commitment to the eventual roll out of 4G services. In addition to the nation-wide commitment to deliver mobile phone reception indoors, Ofcom has extended the same proviso to operators, ordering the delivery of an equal standard of indoor service to at least 95 per cent of the population, for each country within the UK. 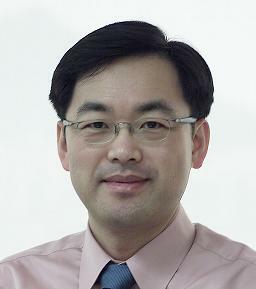 Dr. Choi, Jin-sung, is senior vice president and head of technology strategy office for SK Telecom, Korea. He is speaking at the CxO operator panel discussion on the opening day of the LTE Asia 2012 conference, taking place on the 18-19 September 2012 at the Marina Bay Sands, Singapore. He is also speaking on Day Two about VoLTE, and ahead of the conference we catch up with him to learn more about SK Telekom’s progress on this important LTE technology. SK Telecom brought about a paradigm shift in the mobile telecommunications industry by securing number one competitiveness in LTE in terms of network coverage (with 99 per cent population coverage), quality and speed. The LTE coverage and performance is similar to that of the company’s 3G mobile service and it was achieved in just a year-and-a-half since the launch of its commercial LTE service. The company was able to achieve remarkable milestones by delivering differentiated value to its customers through the development and application of cutting-edge LTE technologies such as Advanced SCAN, Femto and Multi Carrier. SK Telecom has signed up over 3.5 million LTE subscribers in just one year after starting LTE service to become the world’s second largest LTE service provider, while firmly establishing itself as the LTE market leader in Korea playing a key role in the spread and popularisation of LTE. What are the key advantages VoLTE will bring to the table and what are the challenges? VoLTE is an all-IP based premium communications service that offers both voice and video services characterized by seamless in-call voice-to-video call switching and content sharing by linking to RCS services. Through wider bandwidth, it provides faster call connection and better (high-definition) call quality compared to those of 2G/3G circuit-based voice service and OTT mVoIP services. However, since customers are more sensitive to quality of voice service than that of data service, VoLTE requires the injection of additional resources and technological advancements to provide flawless network coverage and stable call quality. Moreover, operators must also consider measures to make up for decreased revenues from traditional 2G/3G voice services, which is likely to take place with the introduction of VoLTE. Do you think VoLTE will have an impact and if so, in what time frame? VoLTE will gain popularity only when it becomes competitive and marketable through stable quality, seamless coverage, attractive price plans, additional services and expanded VoLTE-capable device line-up. Therefore, it is difficult to predict a specific time frame as it will largely depend on the market type, competitive landscape, business strategy and the level of ecosystem maturation. For the time being, most operators are expected to mainly provide CSFB (Circuit Switched Fallback)-based voice service with VoLTE as an optional service. 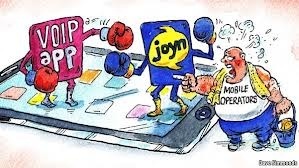 Will technology such as the IMS based Joyn be able to compete with OTT voice players? OTT service only enables communication between customers who downloaded the application, whereas RCS services like Joyn allows users to call/chat with and send multimedia contents to any number stored in the phone address book. RCS services’ strength lies in the stability, reliability and security guaranteed by telecommunications companies. Thus, a speedy response focusing on the customer experience will be crucial to differentiate RCS services from OTT services. Going forward, LTE and Wi-Fi networks are expected to handle large volume data. Since it is not easy to secure wideband frequency, small cells such as femtocells and wifi that expand network capacity by supporting efficient data distribution/offloading will become more important. To what extent are network sharing agreements between operators necessary to make LTE roll-outs affordable? Since all three mobile carriers in Korea have completed nationwide LTE rollout through fierce competition to gain leadership in the LTE market, the need for network sharing among operators is low. In addition, network sharing is unlikely to take place globally due to LTE frequency fragmentation and intense competition among operators to nurture LTE as their core business. 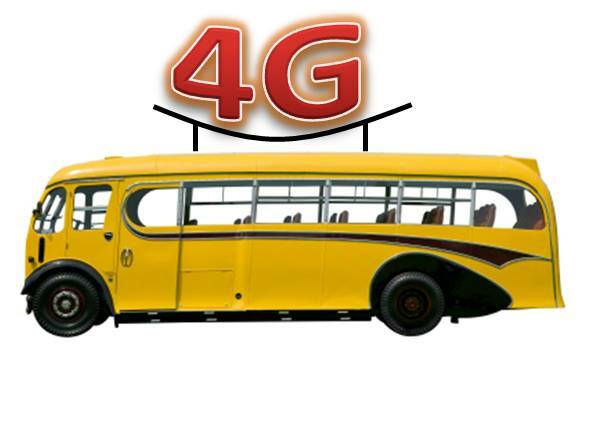 At present, the mobile industry is witnessing an evolution to 4G LTE, the fastest telecommunications network. High speed networks not only enable fast mobile internet service but also support the advent of more innovative services. For instance, ultra-fast LTE networks will lead to the creation and provision of real-time network games and mobile video streaming services as well as more innovative convergence services like health care and smart learning services. What are the main challenges you expect to face in the next 12 months? As SK Telecom has already completed nationwide LTE deployment the main challenges going forward will be to boost its LTE service and to differentiate it in the marketplace by developing many attractive LTE business models and to provide a more stable service through commercialisation of diverse next generation LTE-A technologies. Furthermore, SK Telecom will need to focus on driving the evolution of the ICT industry by cooperating with other ICT players that are continuously developing new and innovative services. South Korea Telco’s launch world’s first VoLTE services! SK Telecom and LGU+ have announced the first global commercial launched of VoLTE services, commencing in South Korea today. Promising 40% improved call quality and significantly improved connection rates, this is a major milestone for the LTE community. We’re delighted to announce that SK Telecom’s SVP & Head of Technology Strategy, Choi Jin-Sung (left) will be presenting at LTE Asia 2012, giving first insights into their VoLTE launch and analysing what the future holds. Also speaking will be Lee Hojoon, General Manager, LGU+, and Denny Kim, Director, Strategy Department, KT, providing further perspectives from the highly competitive South Korean market. We hope you can join us in Singapore in September! Rohit Kanwar is the general manager for network optimisation for Indonesian operator Bakrie Telecom, and is speaking on Day One of the LTE Asia 2012 conference, taking place on the 18-19 September 2012 at the Marina Bay Sands, Singapore. We speak to him on the recent milestones for Bakrie Telecom and get his views on the challenges currently facing operators. What were the big milestones for you in the last 12 months? For the last 12 months we have been focusing on deploying the broadband network and trying to understand the detailed business dynamics for running the broadband network for profit. With reducing ARPU and increasing bandwidth usage it has becomes extremely challenging in the current [economic] scenario. Network operations need to be run at a minimum cost to meet the challenges of the decreasing ARPU. Traffic management is extremely important in the current broadband network and it has to run on a daily basis. Throttling is one of the mechanisms used for managing the data hoggers in the network. However they have to be “politically” managed as well. These hoggers are very active on all the technology blogs and would be able to ruin your reputation. A better policy control function would help you to prioritise and identify the users to be throttled in the network. There is often criticism that ISPs and governments are not rolling out fast networks – but we also hear that few customers are interested in paying for higher speeds? Is there a demand for faster services? I believe that with the introduction of iPads and smartphones and people spending more time on YouTube and other video sites, it has been clear that bandwidth consumption in developed markets has grown significantly. However, there is also strong demand for high-bandwidth applications in emerging markets and these markets are seeing the same trends. There are lots of challenges to overcome to deploy the network for sustaining high-speed for users. Governments need to support the service providers by reducing the license fees so that more ISPs are willing to invest in the broadband revolution. Many see OTT services as a major threat? Do you? OTT services are not a direct threat to the service provider. However they are moving into a landscape where digital content providers are getting the maximum revenue, while using the pipes providing by the network provider. What would be better for the service provider is to move into a model where they provide the content and share the revenue from the user with the content provider. Certainly we see a lot happening in this industry in the future where carriers would a play significant mediating role between content and consumers. What would you say are the major challenges that you expect to face in the next few years? I see multiple challenges for the telcos and vendors across the industry to face. This is primarily due to the tsunami of mobile broadband data caused by the introduction of smartphones and tablets. Every day there are new apps and software being pumped into the network. I believe it requires a standardising body such as the IEEE or equivalent. What are you hoping to get out of attending the LTE Asia 2012? I am hoping to get more understanding on bridging the gap between content connectivity and consumers. I am also hoping for an overview and roadmap on new technologies such as NFC communication and various applications, which may transform the whole credit card industry in the future. I also expect some new innovation in delivering high-speed internet over power lines, minimising the cost of delivering networks inside the home.